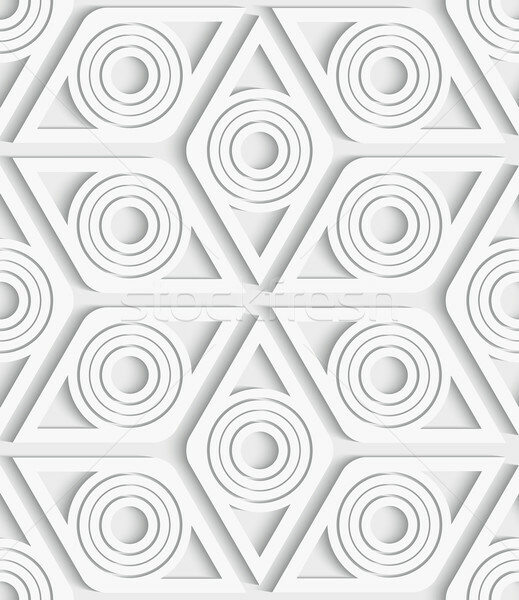 Stock photo / Stock vector illustration: Abstract geometrical seamless background with cut out of paper effect. Repainting tiles of rhombuses and circles. Online since June 5, 2014.